Smart gateway for protocols Honeywell C-bus, Amit DB-Net/IP, M-Bus, Saia Ether-S-Net, Modbus RTU/TCP to Bacnet/IP and vice versa. 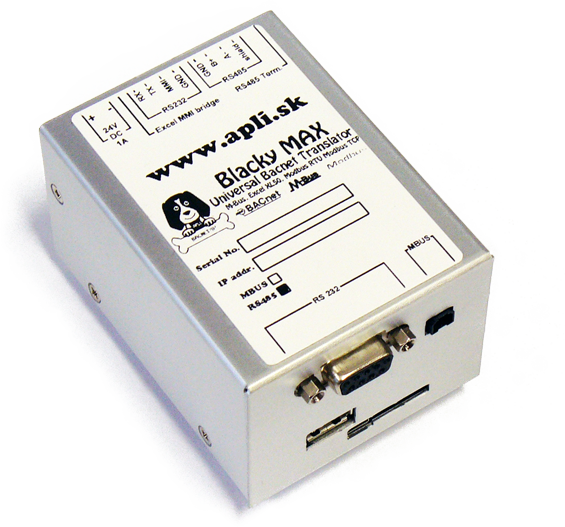 Manual can be found here ..
Standard implementation of Bacnet/IP protocol. COV support with unlimited number of subscriptions. Automatic reading of points from another Bacnet/IP device and writing them to Modbus and C-Bus points. Automatic writing of points to another Bacnet/IP device. Integrated Bacnet / IP browser. Access to C-Bus through local excel connection. As the only in the world maintains MMI function and allows remote access to MMI emulator over Telnet. Automated discovery of points from connected controllers. Functions: C-Bus devices blacklist, Points blacklist, prioritized Point reading. Daily time programs export to Bacnet Schedule object. Change of value protocol support. User defined point names when exporting to Bacnet. Built-in M-Bus converter allows connection up to 70 standardized meters. Option to connect external M-bus/TCP converters. M-Bus/TCP emulator allows direct configuration connected meters from Ethernet network. Functions for sending commands from Bacnet to M-Bus devices. Automatic decoder for M-bus telegrams. Option to create mathematical functions for each parameter of M-Bus telegram. Time reading with option to send command to read from Bacnet. State point on Bacnet with reading results from meter. Reading and writing to Modbus points. Mathematical operations and bit masking. Expanding of aliases from variable and exporting it to Bacnet. 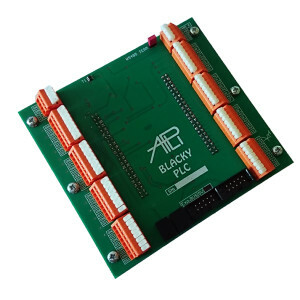 The arrays are expanded to Bacnet points corresponding to the array element. 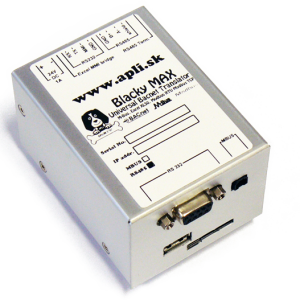 Blacky Max configuration via integrated web interface. Fully configurable operating system ARCH Linux. OpenVPN support in web interface. Option to install your own application.